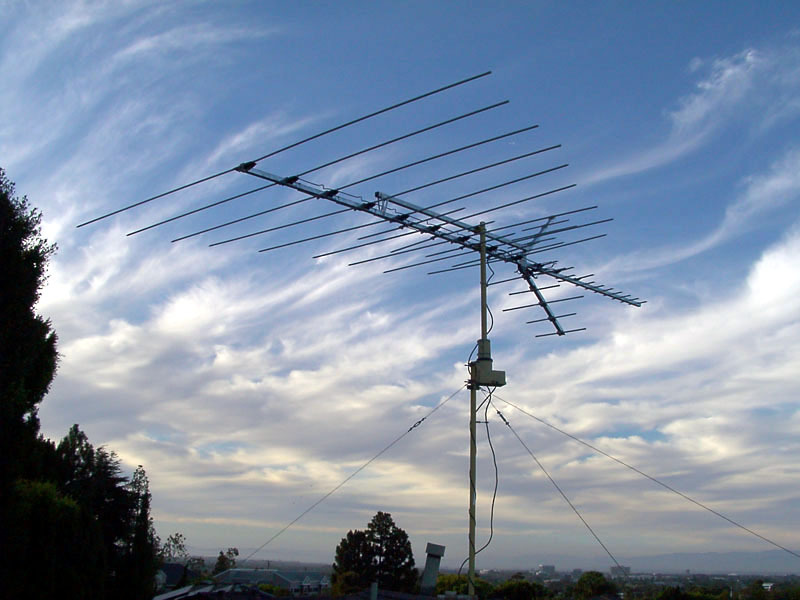 The first step in cutting the cord will require the installation of a TV Antenna. As of June of 2009 broadcast television as we know it totally changed. All television providers were mandated by the US Government to convert their broadcast signal to a digital format. For that reason, if you choose to add a TV antenna, you must have a TV with a digital tuner or a converter box. If you have been purchasing television through a CATV provider you were not required to have a converter box. See DTV.gov for more information on converter boxes. You will need a converter for each analog TV. With digital broadcast television (antenna) service, you may find you get a better quality picture than from your CATV provider as the signal you are receiving is not filtered or choked on the way to your house. Just remember, not all programing is recorded in digital or HDTV. Reruns of Star Trek or HEE HAW will still look about the same. Choose a high quality TV antenna: Go to AntennaWeb and follow the instructions. This is a great site funded by the National Broadcasters Association (NAB) and the Consumer Electronics Association (CEA). It does a great job of analyzing your needs based on your specific address and zip code. Antenna selection and placement is very important. With digital broadcast TV signals, proper tuning and high quality materials are very important. AntennaWeb will tell you what TV stations you should expect to receive based on your location and the antenna selected. Follow the recommendations on the AntennaWeb page to the letter to ensure the highest quality service. Choose a good site for the Antenna: Your antenna of choice will have to be aimed in the direction identified in AntennaWeb. You can do this with a simple camping compass. Look for a location on the house with the least amount of obstructions toward the direction the antenna will be aimed. If your house has a gable style roof, it should be easy to attach mounting hardware for the mast. Without a good place to attach it to your house, you may have to consider a free-standing antenna mast. This can add significant costs. On the AntennaWeb page they will also recommend specific antennas with brand choices. I have found Channel Master equipment to be superior. Regardless of the brand, it is imperative to follow the recommendations of style/type of antenna recommended by AntennaWeb. Grounding Required: Just like the CATV and Telephone services, you should ground the antenna mast as it is probably the tallest structure off the top of the house. If you mount the antenna near the CAT/Telephone enterance, you can add a #10 ground wire from a bolted connection at the antenna hardware to the existing ground wire of either the CATV or Telephone servies. For full understanding of grounding and bonding, take a look at the articles in the Electrical tab. Use High Quality Coax Cable: Use a high quality quad shield coax. You can purchase coax from the Orange Box store for small quantities. If you are going to wire the whole house look at CablestoGo for bulk reels of cable to save some money. If you will be getting your internet service from the cable company, you may have to provide new coax for one or the other. Check with your cable company to see if they can use your antenna coax to supply Internet Service (don’t hold your breath as they want to sell you both). Make the connections: Assuming you are running new coax or needing to make connections, you will need F-type connectors. I recommend using the Compression style NOT the crimp style for the best quality connection, they are not cheap, but this is what the professional will use. Applied correctly, they will be trouble-free. You will need to buy a special tool to apply them. The Orange Box carries both, if you want to buy them locally. If at all possible, route your new antenna cables near the same location as the CATV house connection. There will be an F-Type connector (and possible splitters) at this entry point. Simply disconnect the cable coming from the street (cable provider) and make you antenna connection here. Granted, if you wanted to retain the CATV connection, this will not work. They make A/B switches that will allow you to switch sources, but if you do that you have to mount this A/B switch somewhere that you can get to it easily. The other choice is to add a second set of coax cables. If you are starting from square one and are installing coax cable for the first time, consider using Siamese style quad shielded cables. This way you will have two independent coax cables to each room. That way, you can connect both the primary and secondary cables to the TV allowing you to make the switch through the TV with your remote. NOTE: A splitter and an exterior A/B switch look very similar but they are not. The A/B switch allows two sources where the splitter provides two outputs. Splitters Required: For applications with multiple TV’s, you will have to run the coax into a splitter. This allows you to start with one cable in and multiple cables out. NOTE: Everytime the signal is split, the signal strength is cut in half. So, the more the splitters, the weaker the signal. To avoid the loss in signal strength, boosters or amplifiers can be added to the coax circuit. Make the decision to add the amplifiers AFTER you have hooked everything up and you determine you 1) have a weak signal, or 2) cannot receive all the channels you expected. Turn it up: Make all the connections to the TV’s and aim the TV antenna in the desired direction. Most new TV’s have “auto selectors” that can program your TV to all stations that the TV tuner recognizes. This is a good way to get started, but you will probably want to edit that list after you have the antenna locked in. Use the guide from AntennaWed to validate the stations you should be receiving. Troubleshooting: With digital TV reception, there is no such thing as a fuzzy picture. Poor reception will appear as an intermittent signal, frozen/choppy picture or no picture (signal) at all. Adjust the antenna a couple of degrees one way or the other to bring in a better signal and run the auto-select program in the TV again. If you are still not receiving all the channels, read #9. Troubleshooting II: If you find one TV receives all the channels at one TV but not at another, this may be an indication that you need an amplifier to boost the signal. Install an amplifier per the instructions. Channel Vision carries these products too. This may solve your problem. Troubleshooting III: If you continue to have difficulty receiving some channels you may have a large obstruction (buildings, trees, mountains, hills) in the way. You can try moving the antenna to another part of the house and or try raising the antenna. Unfortunately you may have to compromise by living with the stations you can clearly receive. I have completed this portion of cutting the cord. Admittedly, I had some issues with signal strength due to cable length and splitters. If you follow the methods described, you should be able to clear up most problems as I did. Next time we will look at the Internet TV options and how to maximize your choices. You are currently browsing the Homeownerbob's Blog blog archives for December, 2010.